Keri is a wife and mom who is in stage 5 kidney failure. She is on the UNOS transplant waiting list, please help find a kidney, this beautiful family needs a healthy mom! Keri Got A Kidney!!!! We at Donor to Donor would like to congratulate Keri and her beautiful family! She received her kidney and is doing wonderfully. We're so happy for her and grateful for everyone who shares, posts and follows our stories. Each Post Helps! There are so many more people in need. 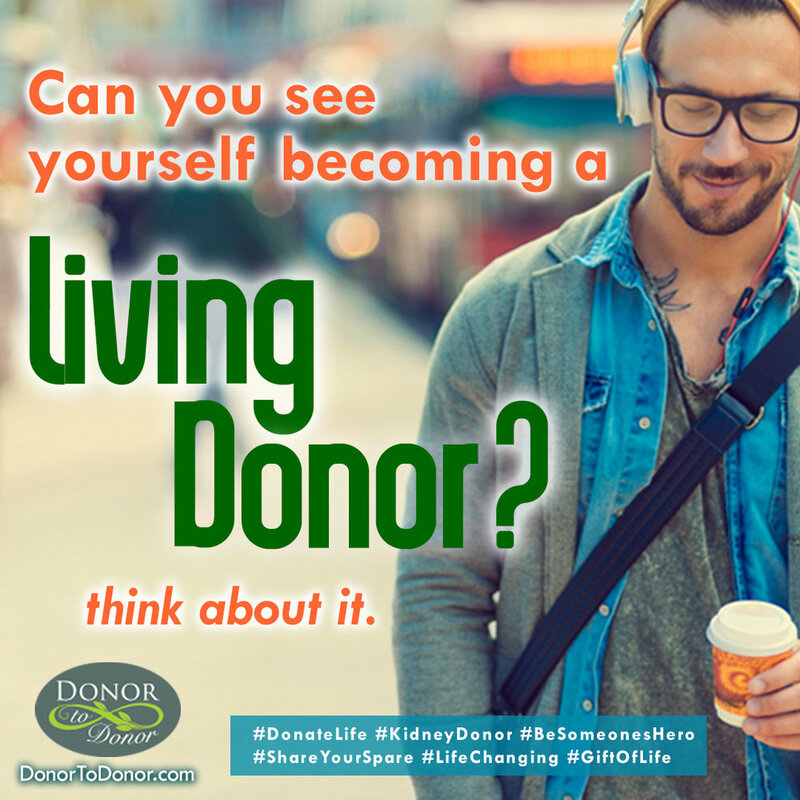 Please register to be an #OrganDonor & consider becoming a #LivingDonor. You’re not just saving one life, you have the ability to potentially save hundreds or more! Donor To Donor, Donate Life America, National Kidney Foundation, Find A Kidney Donor For Keri. Please contact us, even if to just find out more, we'd love to talk with you. If you donated, you would be making such a difference in so many lives! Please Contact us today. Contact us today, let's make this happen!